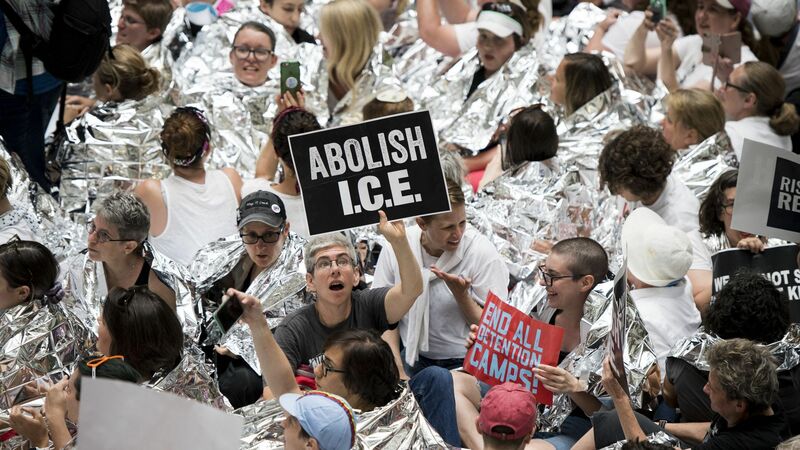 "The GOP has upped the pressure on Democrats in recent weeks to widen their split over whether to 'Abolish ICE,'" NBC News' Ben Kamisar reports. Why it matters: Democrats might be on the wrong side here. Only 25% of voters think the government should get rid of ICE, per a recent Politico poll. Details: Last week House Republicans voted on a resolution "stating support for ICE in the hopes of forcing Democrats to go on the record on the issue." A senior GOP aide told me Republicans want Dems to vote on abolishing ICE simply to show the country "that it will not happen on the House Republican majority's watch." Now they're using it in ads. The Congressional Leadership Fund has an ad on the issue targeting Danny O'Connor in Ohio. Another GOP group is targeting West Virginia Sen. Joe Manchin. The Republican Governor's Association is even using it at the local level.